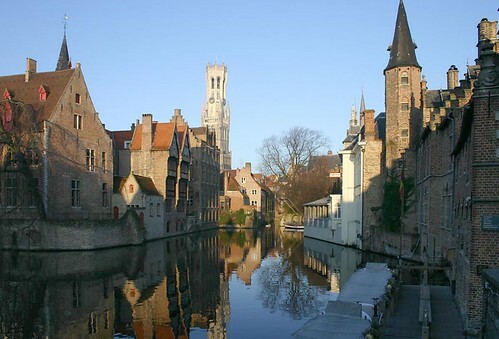 Bruges (read here other news) in Belgium is known as the ‘Venice of the North’ because of its many canals and is a Unesco World Heritage Site as much of its medieval architecture remains intact. The city is beautiful to walk around in. Among its main sites is the Church of Our Lady with its outstanding brick tower. The church is home to the sculpture Madonna and Child which is thought to be the only Michelangelo sculpture that left Italy in his lifetime. The city’s most famous landmark is the 13th-century belfry with a carillon of 48 bells. Other notable sites worth visiting are the Beguinage, Basilica of the Holy Blood, Saint Salvator’s Cathedral, the Groeningemuseum, City Hall on the Burg square, and the Provincial Court. Bruges is also home to a number of festivals including the European Youth Film Festival of Flanders and the September Jazz Festival. The city is served by the Bruges National Airport and the railway provides connections to other cities in Belgium as well as The Netherlands and France. Belgium is famous for its waffles, fries, and beer and the Markt place is a good place to go to have a drink. The 3 star Michelin restaurant De Karmeliet is expensive but the meals are tasty while Den Dyver is less expensive but also good.